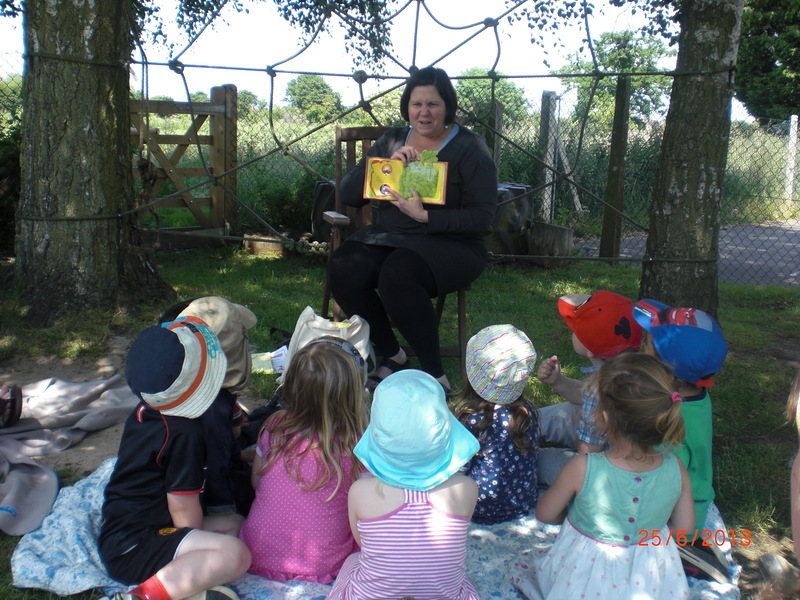 We had a lovely afternoon on Tuesday when our librarian came and ran an outdoor story session for the children. 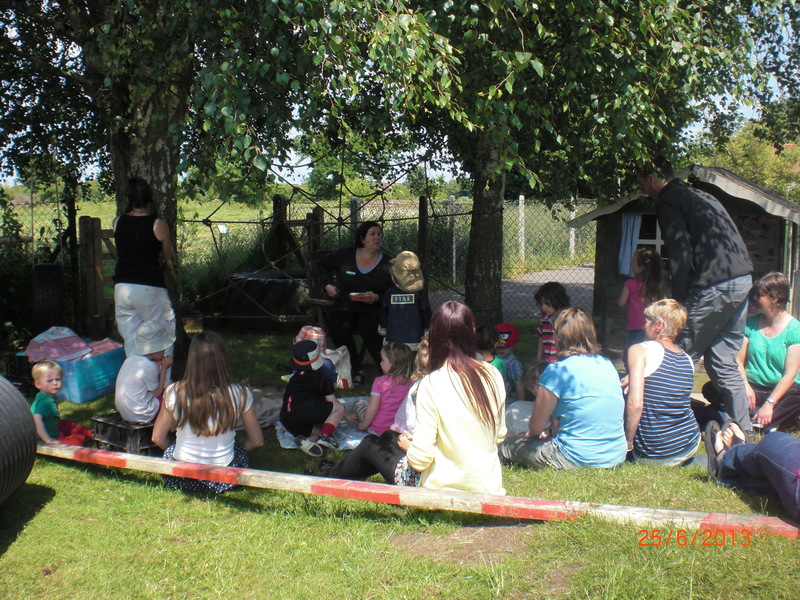 The stories were fantastic and the children (and grown ups) were enthralled. Thank you to Tracey, everyone that came to join in and Sarah Gingell for organising it. 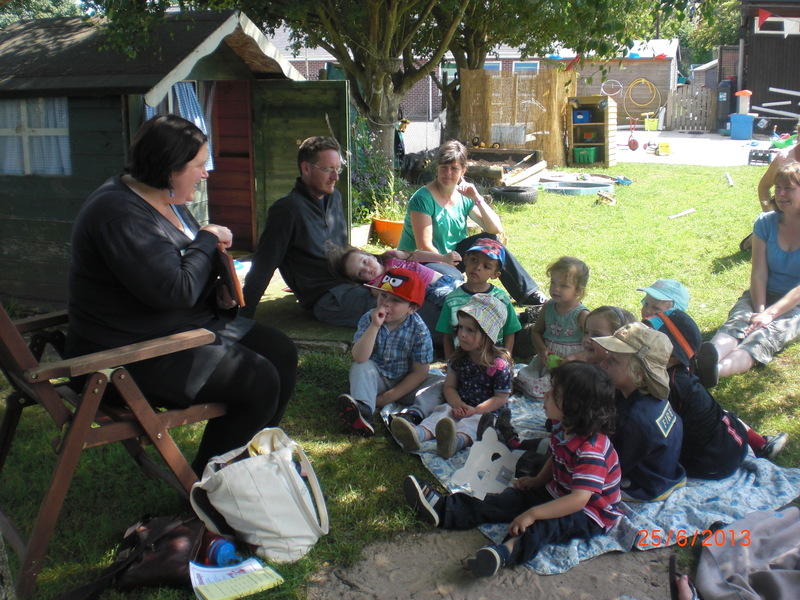 This entry was tagged acorns preschool, Christian Malford, OFSTED Outstanding, open day, outdoor learning, parental involvement, preschool wiltshire. Bookmark the permalink.